Here is further information on the upcoming Rowman and Litlefield volume, which I am editing and will be included in their Place, Memory, Affect series. This blog will give a brief summary of the essays that will be contained therein. Please click here for the previous blog on the volume, which gives you a more detailed overview of the book and links to the authors’ own work: Walking Inside Out. While psychogeography in its broadest sense is as a method of urban walking which responds to and critiques the terrain, there are many different approaches to it. This can be because of the way the walking is carried out or in the way the practical work is written up or analysed. This book attempts to bring the work of literary/creative psychogeographers and academics together in an edited volume that looks critically at psychogeography today. Contributions are from academics and researchers, and from those working in the area of urban walking. The voices expressed here highlight and explore the setting and climate as it is for psychogeography in the UK in the 21st Century. The essays provide current examples of contemporary psychogeographical practices, demonstrating the differences between them. Examples of the different forms of urban walking are discussed alongside different theoretical approaches. This book represents psychogeography is aimed at scholars, students and urban walkers alike. This essay comprises an account of a walk undertaken on the Sefton coastline of North West England in August 2013, with collaborators Robyn Woolston (artist) and Irene Delgado-Fernandez (physical geographer). An objective was set: to connect two types of human intervention on the coast, Antony Gormley’s ‘Another Place’ sculptures (‘art’) and a university research site that monitors the movement of dunes over time (‘science’). In his essay Bennett will set out a psychogeographically informed account of the multiple lives of a small spot of pavement in order to explicate this rich realm and its various facets and tensions. In doing so he will also reflect on the novelty of this approach, and the survival strategies that he has evolved, in order to endeavour to justify this preoccupation and set of methodological strategies within the academic disciplines to which he is affiliated. Wood is drawn to places of neglect and abandonment, especially in isolated and obscure parts of Eastern Europe. He is intrigued by the region’s turbulent history of both cultural conflict and hybridity. Wood’s journeys are unaccompanied, deliberately under-planned and occasionally serendipitous. Most are illicit with a frisson - not always imagined - of danger. His essay includes walks around Kaliningrad, Lviv and Odessa. One of the ways past psychogeographical accounts have been used is to understand the aesthetics of a particular city at a specific moment in time. The three essays contained here deal with explorations and knowledge of the cityscape (in the past and today), by examining personalised accounts and histories. They reflect on how space is mapped out and how it is connected to memory, culture and geographical space. Arthur Machen’s self-proclaimed ‘London Science’ was a means of gaining mastery over his adopted city through an exhaustive attempt to map and communicate the otherworldly atmosphere of late nineteenth-century London streetlife, through an exploration of the outermost reaches of the suburban city. These urban wanderings were documented in works such as The London Adventure (1924). 2013 marks the 150th anniversary of his birth, and this essay will outline his pioneering contribution to psychogeographical ideas and practices. The active and creative capacity of memory and nostalgia to both guide the steps of ex-residents and fashion critical forms of engagement within the city are addressed in this essay. Using interview material drawn from people who once lived on Tyneside, it examines how the past, present and future are mapped onto spatial practice. This argument drawn into dialogue the memory rich content of literary psychogeography, contrasted with the anti-nostalgic strategies of avant-garde psychogeography. This essay looks at a common urban phenomenon - memorial benches - as a way of exploring how human identities are encoded in the landscape. Like many coastal towns, Hastings is a repository of memory, where people come to contemplate the past, as well as to create new memories. As Gareth E Rees drifts through the town, tragic moments from his life are reanimated by the topography, while the voices of the dead begin to speak. Looking at psychogeography from the perspective of an artist, writer and academic researcher, these essays discuss how urban walking can be used in an activist way through the insertion of the body into socio-political space. By demonstrating how psychogeography can become an intervention once applied to the modus operandi of a specific group, these authors explore and critique the way collectives of individual can challenge dominant power structures through the act of walking. Looking at the activist nature of psychogeography, today and in the past, these texts offer and examine specific case studies so as to analyse its efficacy as a means of radical political engagement and social change. This essay documents a series of psychogeographical interventions by the agri-prop theatre company, Reborn Rebecca. The Welsh Rebecca Riots against taxation continued in Radnorshire into the 1930’s. Reborn Rebecca revives this tradition via a series of documented walks to Powys CC Headquarters to demand that they vacate County Hall, giving the buildings over to the Free University of Radnorshire. This essay asks: are psychogeographical examinations of power over land possible outside the city? This essay offers field-notes from autoethnographic experiments in Feminist anarcho-flânerie. Inspired by the Situationist International there is an explicit political agenda to Rose’s walks which reveal power relationships and inequalities within Manchester. Using psychogeography as a tool for community engagement she blurs the boundaries between activism, art and academia. This essay gives voice to some of the tales uncovered by her adventures and explores the potential of dérive methodology. Enjoying a resurgence in the 1990s, psychogeography has seen further renewal within contemporary practices. However, the drift of psychogeography away from antagonistic and autonomous contexts into more institutional forms requires a reconsideration of any claims to criticality. Collier proposes that recent artistic iterations of psychogeography potentially fail to account for the convergence of their playful, participatory methodologies with the recombinant modes of subject construction that characterise contemporary post-Fordism. 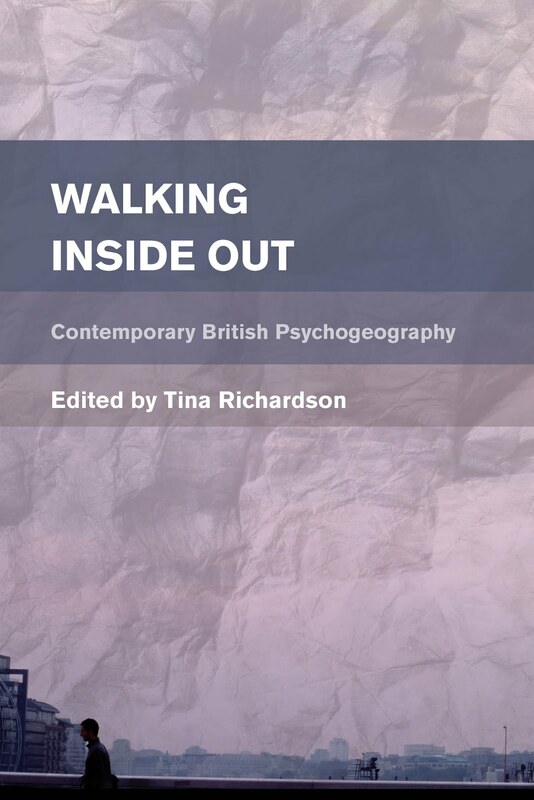 By examining the walking and spatial practices of individuals who specialise in psychogeography as a critical methodology, these essays look at how it can be used as a tool and developed in specific ways so as to put forward the practice as an analytical device. These urban walkers have worked through their walking strategies, and created their own type of psychogeography, which suits their own individual requirements, enabling them to analyse the city in a specific way. Sensory walks have emerged in recent years as a form of psychogeography which seeks to explore sensory characteristics of the environment and their perception by people, by examining experiences gained through one or more of the senses whilst walking through physical, usually urban environments. However, the characteristics of the sites through which sensory walks are implemented impacts directly upon the experiences gained, the data collected and the resulting overall findings and thus if a pre-identified route is to be selected, this warrants careful consideration. Drawing from experiences of implementing smellwalks in cities across the world and focussing specifically on a detailed study with fifty-two participants in Doncaster, South Yorkshire, and subsequent group smellwalks in European and North American cities, this chapter includes examples of issues encountered whilst undertaking and designing such sensory research. Smith will consider the central role of multiplicity in mythogeography and its reconnection to certain strands within British psychogeography, such as the workings of Alan Moore and Tim Perkins and the ‘drifts’ of organisations like the Loiterers Resistance Movement. He will argue that mythogeography continues to pose a challenge to certain limited and revivalist elements, but at the same time celebrates the panoply of practices that even where there is no acknowledgement of the influence of the tradition of the International Lettristes/Situationist International, betrays a knowledge of them. Richardson's essay will be on her own psychogeographical practice, schizocartography. She has developed this particular urban exploration methodology from the psychogeography of the Situationists and the theory of the philosopher/psychoanalyst Félix Guattari. Concentrating on the concepts of affect and aesthetics, Richardson has taken Guattari’s theory on "schizoanalytic cartographies" and applied it to psychogeography, using archival explorations and philosophical enquiry in order to help bring a particular form of theoretical critique to urban space. Schizocartography attempts to discover the tensions between discourses of power in space and the social history and heterogeneity hidden in the topography. This essay will be in addition to the introductory essay. The two contributions in this section do not sit within the usual arts-based humanities walking practices, with the authors using psychogeography in their own discipline in creative and constructive ways. These essays look at the interdisciplinary nature of psychogeography and how it can be introduced into the social sciences as a way of helping individuals via an engagement in urban space. 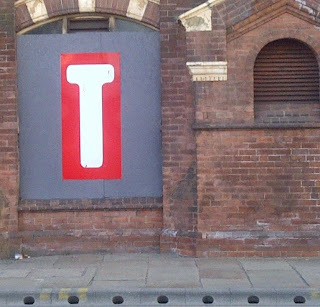 They also open discussion of the value of psychogeography in its acknowledgement as an affective methodology. For many people with dementia, memory for places known in their youth remains strong in the face of difficulties they now have with short-term memory. This essay draws on a series of walking interviews with people diagnosed with dementia in order to explore a more collective reconstruction of place memory. Some of the main limitations of psychological research on environments are that there has been scant focus on how people politically experience their social worlds. Moreover, much of the existing research in psychology is limited in terms of focusing only on place-identity and studying behavioural processes as if cognitions and attitudes are ‘things’ that can be found in peoples’ heads. Bridger will explain what the limits are of that existing research and will explain why an anarchic, anti-psychological and radical critique of environments is needed. Bridger makes an argument for a situationist-psychoanalytically informed approach to psychogeography. He will draw on specific psychoanalytical concepts including free association and disorientation.